Rochester can experience a myriad of extremes. Our weather ranges from bright and sunny in the warmer months to borderline arctic in the cold. Predictably, this can lead to social “dry spells,” with campus appearing barren and dull. Yet even in the most socially-desolate times, there is still plenty to do around campus. When students first arrive in August and September, the campus is bustling with activity. Games and events are everyday occurrences and a walk down the quarter mile is sometimes like a walk through a circus. This is the perfect time to get involved and find your niche. Clubs and organizations across campus are always searching for new members, and this is especially true during these warmer months. Because of this, there are plenty of opportunities to get involved and find the right fit for your passions and hobbies. Joseph went on to give a personal experience. “For me, it was joining professional organizations within my major. I also wanted an on-campus job and I just happened to walk into CAB, and it has completely changed my life,” she said. Joseph went on to further recommend that students explore the new and unique opportunities RIT presents. By joining clubs early on, students are able to take full advantage of the time spent with them. If a club turns out to not be the right fit, you can always drop it and find another. "When there are breaks in the weather, get outside!" The first year at RIT is a time for exploration and experimentation, whether it be your freshman year or your first year as a transfer student. Try as many new things as possible and you can slowly narrow down where you find yourself fitting in, excelling and having fun. While the Center for Campus Life oversees most of the clubs and organizations on campus, there are also a large number of clubs not directly under the Center's leadership, instead operating under a specific college or department. With the vast number of clubs available, there are plenty of ways to get involved. Joining clubs and organizations certainly isn’t the only way to stay socially active, however. There are many events and activities throughout the year geared towards students. From various DIY events such as Christmas ornament-making to therapeutic events like Bow-Wow Wellness, there are a wide variety of activities always happening, regardless of weather or workload. 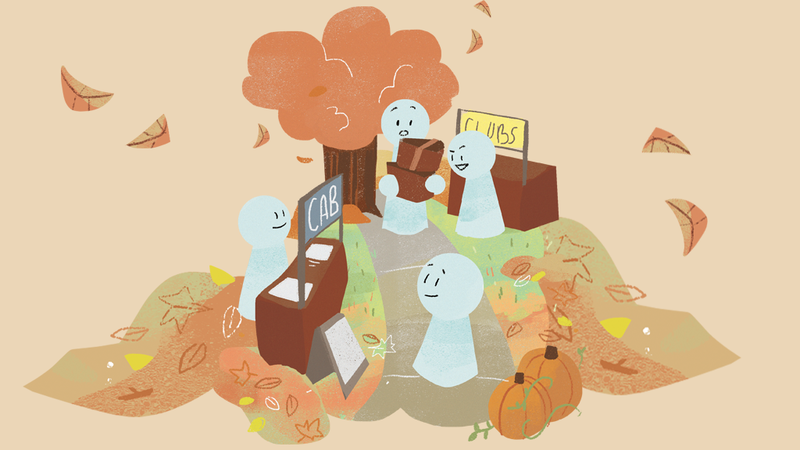 CAB especially hosts a number of events throughout the academic year, keeping students happy and entertained across the seasons. As anyone who has lived in Rochester for a long (or short) time knows, getting out and about in the cold winter months is much easier said than done. As one of the snowiest cities in America, stepping outside can often feel like an expedition through the Antarctic. Luckily, RIT has plenty of space indoors for times just like this. Whether in the Golisano Atrium, the SAU, Fireside Lounge or someplace else, events will continue on through the winter. “CAB offers a variety of indoor events through our CAB cinema division and our signature events division,” explained Kalie Lazarou, a fifth year Industrial Engineering major and the current director of CAB. Rain or shine — or bitter cold, for that matter — events are always happening. Lazarou discussed how these events are heavily focused on taking opportunities one might find in the Rochester area and bringing them to campus. That way, those students without a means to get off campus can still enjoy themselves on campus and experience the fun. It’s a great way to connect with other students and form new friendships. Finding students with similar interests is much easier when you explore those interests and take the leap by joining clubs or getting involved with activities. “Campus is still alive, even if people aren’t outside,” said Lazarou. Extreme temperatures have a tendency to sap people of their energy, psychology professor John Edlund explained. This makes it much more difficult to get out during the bitter cold winter Rochester is known for. On top of this, scientists theorize that a lack of UV light from the sun can lead to Seasonal Affective Disorder (SAD), otherwise known as seasonal depression. Another way to combat SAD is to stay socially active. Interacting with others, whether they be friends, neighbors or classmates, can dramatically improve one’s mood. “Maintain your social networks,” said Edlund. Edlund also noted that some people reported success in combating SAD by use of UV lamps in their living spaces to mimic sunlight. Whether this is a proven remedy or more of a placebo effect, no one is certain. Another key to combating SAD and staying socially active is to find new things to do — new places to explore. There are a number of ways to get off campus and explore the city. Into the ROC, a student-run division under the Center for Leadership and Civic Engagement, organizes excursions into Rochester, connecting RIT students to the various attractions, landmarks and other sights found within the city. Transportation is always provided and there is often food involved. Into the ROC offers a litany of destinations, such as local plays and comedy shows. Additionally, students often work with nonprofits in the city. If you’re looking for a shopping trip, buses also make the drive to Marketplace Mall. While bus tickets are typically $1, it’s often well worth it to get out and get some shopping done. There are events organized by CAB, as well, that take students off campus, as noted by Lazarou. 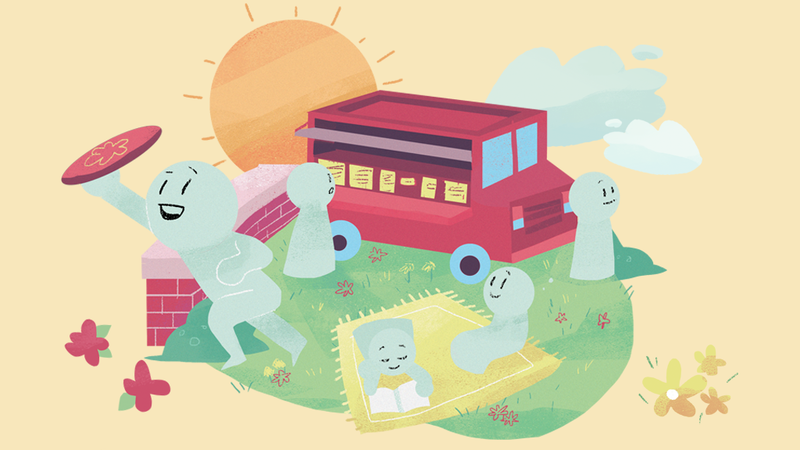 As the weather warms up, it becomes much easier to find fun things to do around campus. After the long winter months, spring is always given a warm welcome as students flood out of their dorms and into the sun. Clubs and organizations across the spectrum host outdoor events and the entire campus is bustling with activity. During this time, RIT will often host food trucks. Greek Life can also be seen grilling and offering food to passersby. After months in the cold, there’s something invigorating in seeing the windows opening and fountains running again. Throughout the year, RIT is host to a number of annual events that students should be sure to attend. October features Brick City Homecoming, a celebration of alumni, students, family, staff, faculty and community members. Typical activities include a night of RIT hockey, a 5k run, an entertainer of some kind and more. 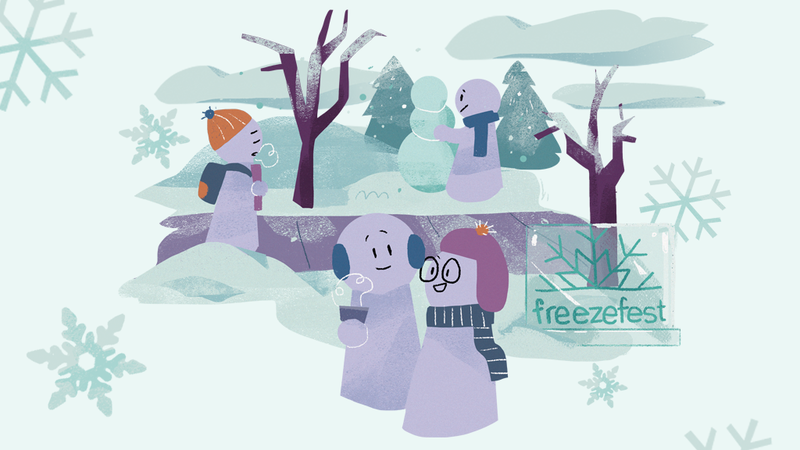 FreezeFest is an annual event in February, featuring another entertainer such as a comedian or a concert. It also hosts a number of other activities such as the Rail Jam and Winter Warrior — a skiing and snowboarding competition and an obstacle course run, respectively. Ushering in the warmer weather is SpringFest, set in April. SpringFest features yet another entertainer, as well as events of its own. Imagine RIT closes out the year with a showcase of students’ talents. Many clubs and organizations set up exhibits to display their work and show off their amazing endeavors. Here, students get the chance to feature their research and class projects. Some students even feature entrepreneurial ventures unrelated to class assignments. This event attracts community members across the nation, as parents, family and friends of students come to see their work. Whether warm weather or cold, blue skies or grey, there is always something to do around campus. As Lazarou noted, even if the campus looks empty, it certainly isn’t. It’s always bustling with activity and full of unique and fun ways to stay active. So, despite Rochester being home to extreme weather conditions, the university is dedicated to ensuring students always have some way to stay moving and maintain their social lives.